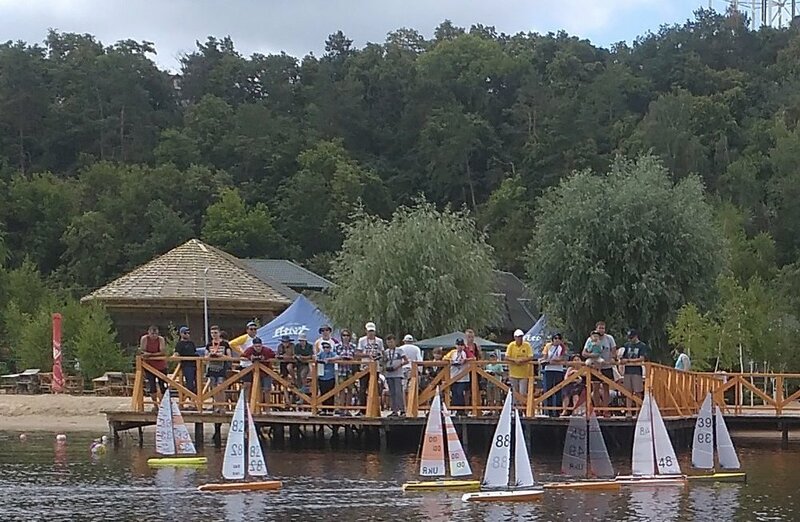 As a tradition for last few years, radio sailors take part in a big local sailing event named Black Sea Yacht Club Cup. This year we raced in F5E/IOM class on 15.07.2018. We had 6 competitors and sailed 10 good races with shifting but stable speed wind within A rig. 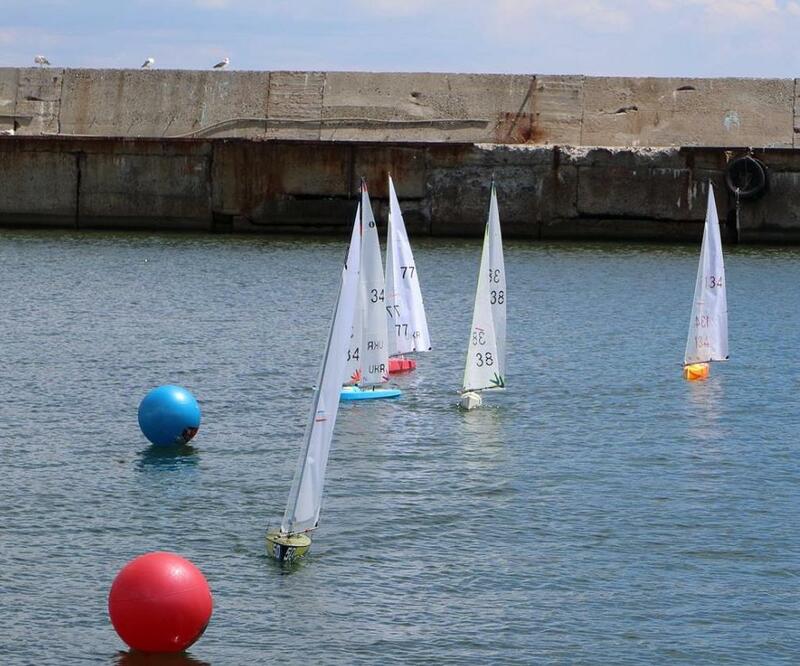 On 6 - 8 of July 2018 Odessa radiosailing Cup 2018 took part at Odessa Black Sea Yacht club. 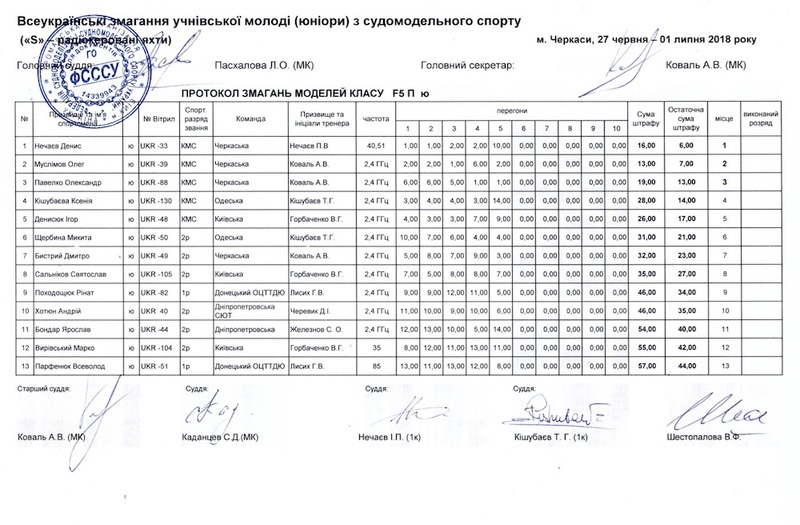 The Second day Ukrainian nationals in sailing in class IOM we're held. 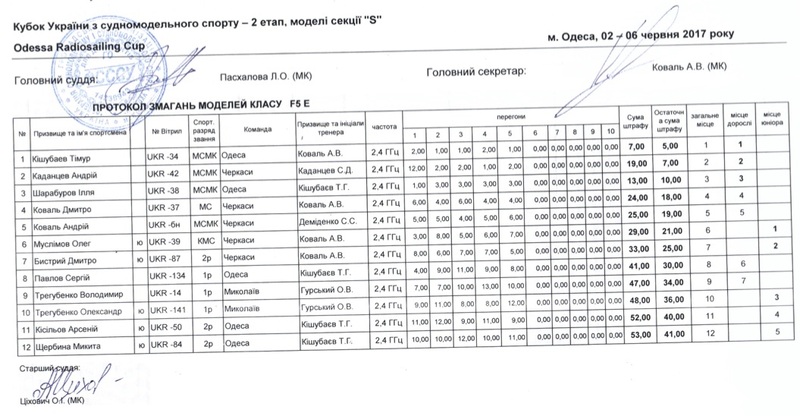 This day also Ukrainian Cup stage and Ukrainian competitions of pupils we're held in class Dragon Force 65. 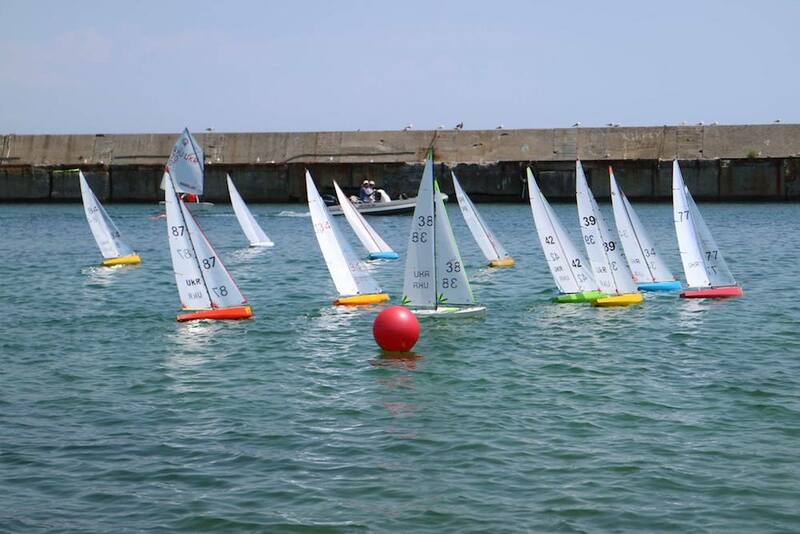 Last racing day Ukrainian Cup and Ukrainian competitions of pupils races were held in F5-E class. 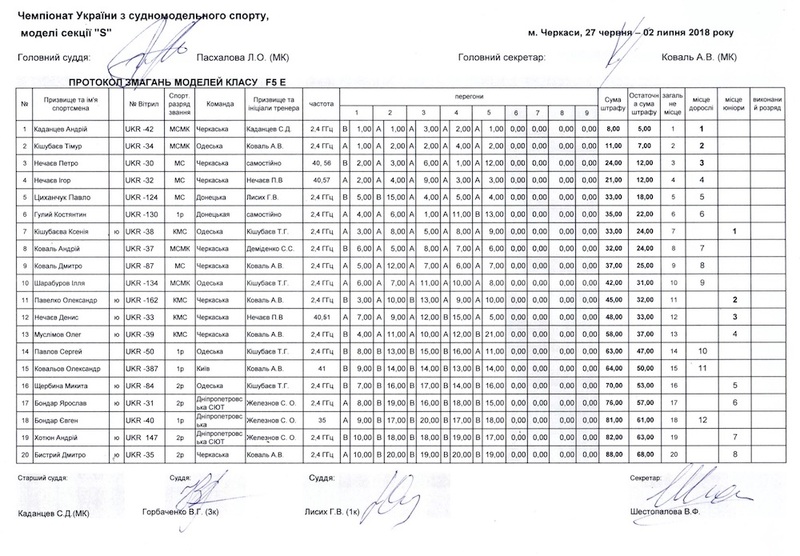 First Day the races were held in F5-10 class. There were 12 participants - 8 seniors and 4 juniors. The Wind was quite strong, almost all was with B rig on. There was plenty of weed that often had influence on racing results. Thats why racing was complex and sometime inpredictable. Second racing day there was class F5-M. 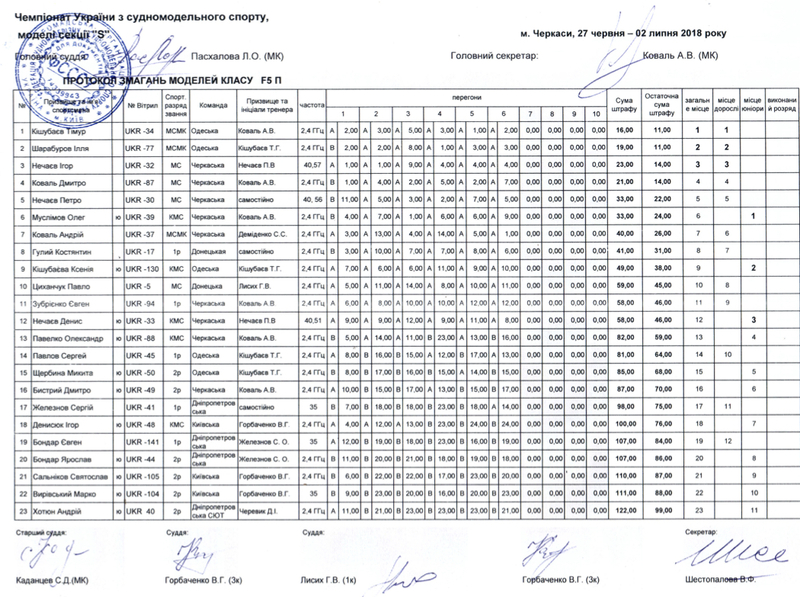 This time juniors races within Ukrainian scolar competitions were held in the morning. In scolar competitions 8 competitors took part. The wind was very light. 5 races with one discard were planned and held. 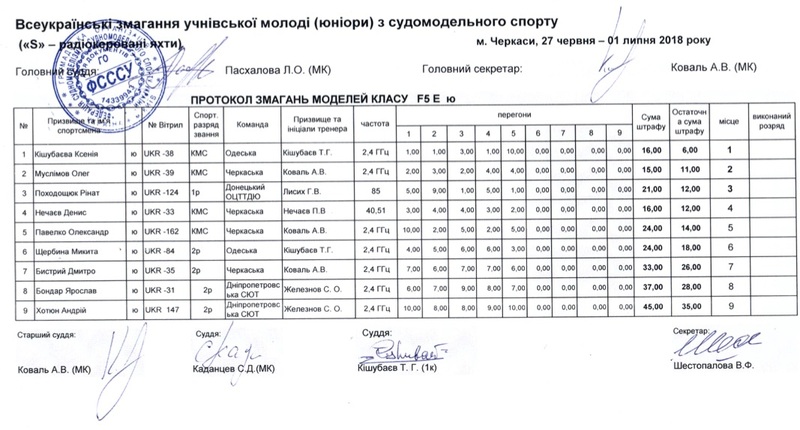 After lunchbrake, UA nationals in F5-M class were held. 13 competitors - 7 seniors and 6 juniors took part. The Wind continue to be within A rig. Third racing day - F5-P class racing. 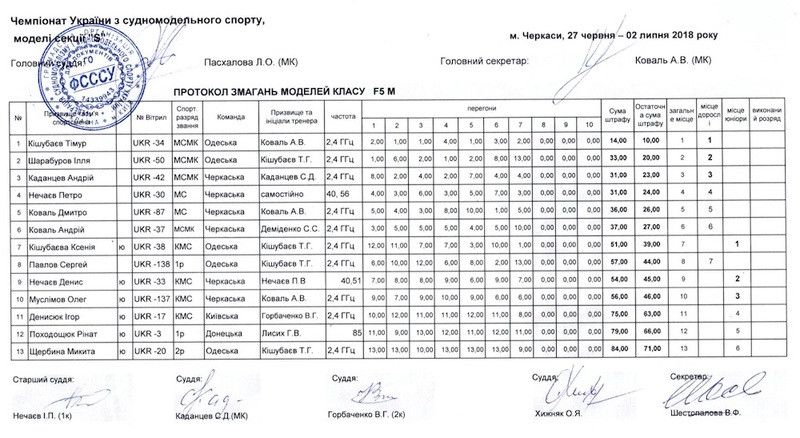 In the morning, juniors had their Ukrainian scolar competitions. 13 Young competitors took part. Then, 6 races in 2 heats by HMS System were held in UA nationals competition. 23 participants - 12 seniors and 11 juniors took part. Very tight and interesting racing. The Wind was with General direction from the Shore and that's why it shifted a lot. Only the last race made clear the winners trio. 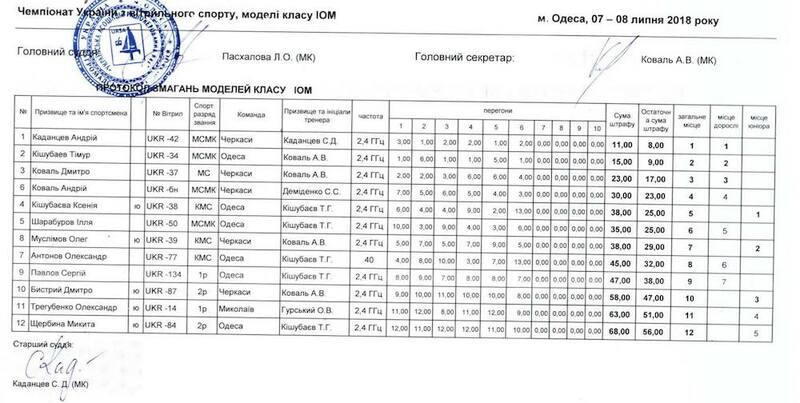 But in fact not very clear - two persons with 11 points and two with 14 points in overall)). Last day, F5-E class races were held. In the morning, as usual, 5 races of scolar competitions were held. Then 20 competitors competed in 2 heats by HMS system in UA nationals. 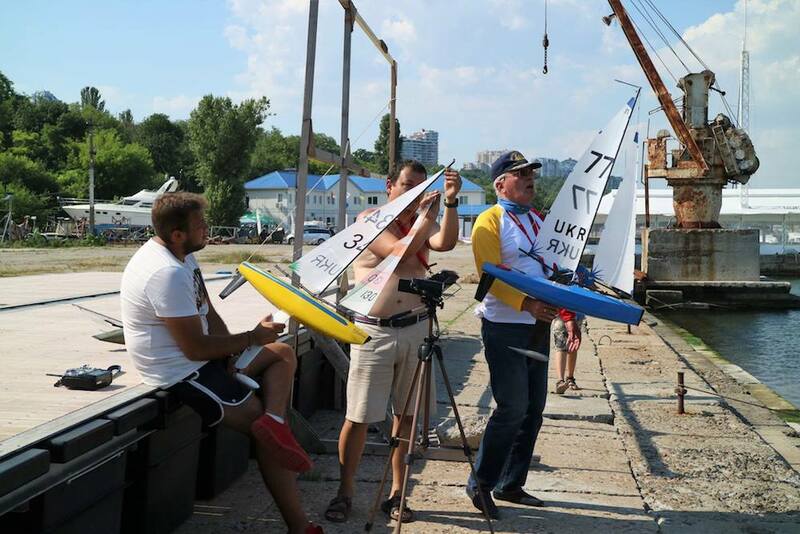 First time in a history, and after more than 30 years of Cherkassy team gegemony, Odessa radiosailing team has won UA nationals. All the medals of Championship were divided between these two teams. The gold was earned equally - 4 medals by each team. Odessa earned 6 silver and 2 bronze medals. 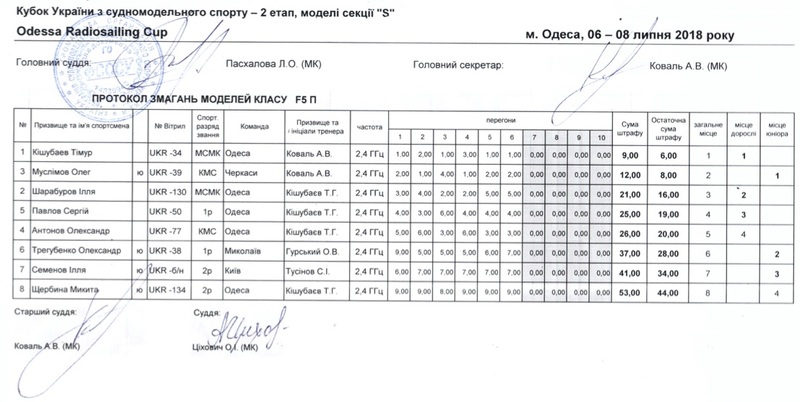 And Cherkassy - correspondingly 2 silver and 6 bronze medals. 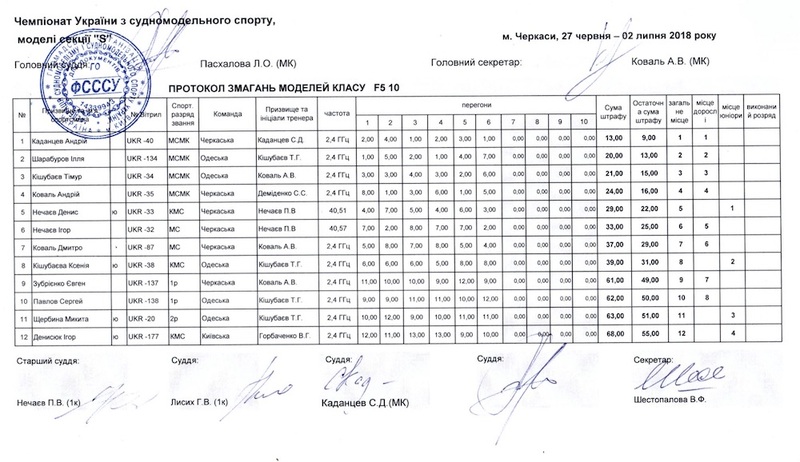 Third place in team ranking has been won by Donetsk region team.